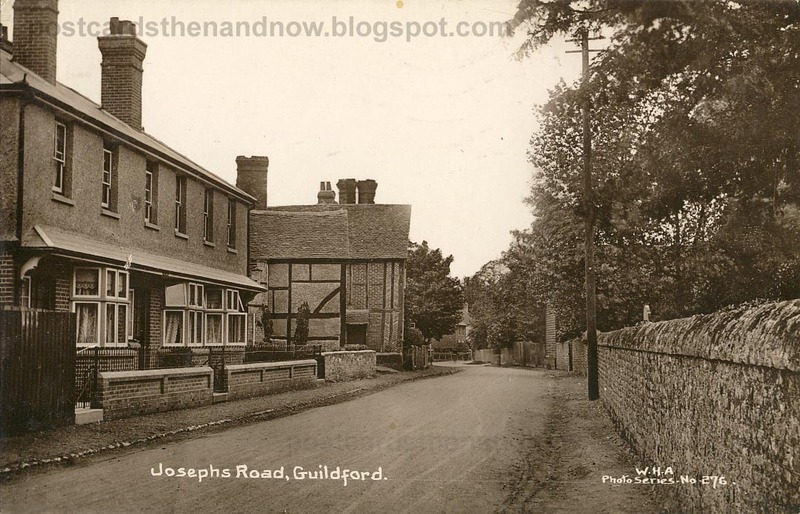 Guildford, Surrey, Joseph's Road c1912. It is very pleasing to see that this view has hardly changed at all in the last hundred years. Postcard published by W. H. Applebee. I would have kept the little stone fences instead of the pickets, just in case some wayward car tried to make its way into my living room.